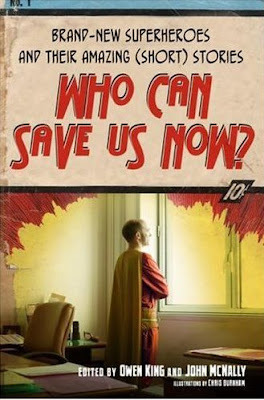 So this started last week when reader Katie wrote in to tell me about Who Can Save Us Now?, the premise of which strikes me as pretty brilliant: invite 22 contemporary writers to invent new superheroes and spin a quick tale about them in a short story. Today's SF Chronicle reviewed Superpowers, and then I saw Soon I Will Be Invincible in a shop window while taking a walk after having been laid up for more than a day w/ a bad back, my powers to drink beer and stand up for 6 hours in Chuck Taylors listening to Mission of Burma, Sebadoh and Public Enemy proving decidedly *less* than super. I prefer the U.K. covers. 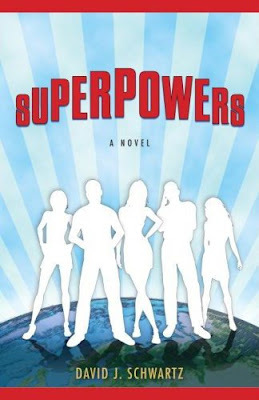 The U.S. version of 'Superpowers' is too i-stock-photo-eee. On a side note, I really enjoy this blog. 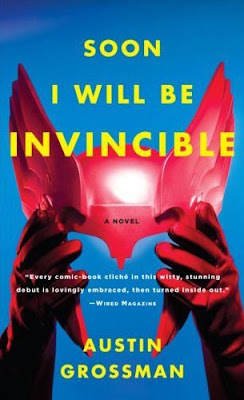 You're correct; the US version of Soon I Will Be Invincible is by Chip Kidd. I think the UK one is better actually. I love the US edition. You really do need to see the jacketed version with and without the jacket. But, some love it, some don't. I did a little write up on this book, the jacket version. Have to say I like chips cover the best. Strong and to the point. All the others have their merits and are playful and explore some fun vernaculars, but fall short in terms of a singular, strong idea. I love Chip's US version and the UK version. The UK version is definitely more unexpected and thus induces delight. But Chip's holds lovely surprises as well - the back cover, flaps, and inside are all filled with photos of superhero garb. On the UK version, I wonder why the blurb type on the bottom left is white with drop shadow. 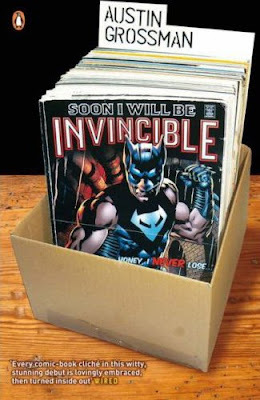 Would it have worked with just black type, or would it take away from the focus on the comic book? I feel that the UK version is more expected. 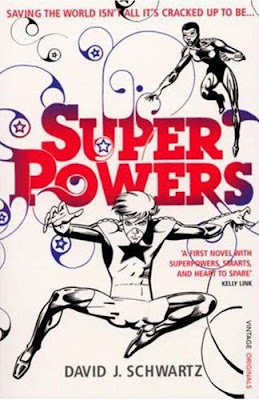 It's comic books with typical comic characters... while the US version has more stocky cliche imagery, which is what the book is about... a fun spin on the cliche's of super heroes... you would need to read the book to know how appropriate it really is.